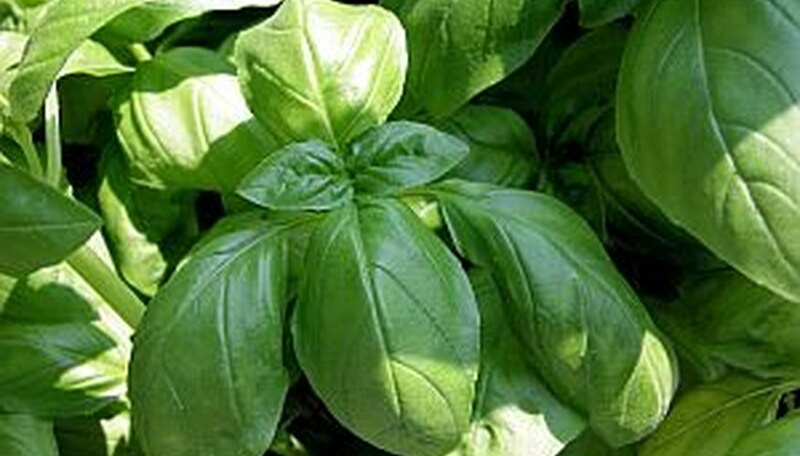 Gardeners who add a basil plant or two to a garden will reap a delicious harvest of fresh basil by mid-summer. Once you have tasted basil freshly cut from a basil plant, you may never want to go back to any other kind of basil. As long as you pay attention to a basil plant and keep it from flowering during the summer, you should have an abundant supply of fresh basil for every need. Cut the top set of basil leaves at the first leaf node intersection from the top of the plant. Perform this cutting on all of the basil stems. Repeat this cutting only one time per week to allow the basil plant time to recover and re-grow. Cut back two-thirds of the entire basil plant about one time per month. Make the cuttings immediately above the lowest set of four leaves. Allow the basil plant to finally flower at the end of the summer and cut off the flowers for an especially delicious addition to many recipes. For the strongest flavor, conventional wisdom advises cutting basil in the morning after any dew has evaporated.